Netherlands online casinos | Where can Dutch players gamble? The Netherlands may have one of the most relaxed attitudes towards drugs and prostitution in the world, but it’s a different story when it comes to gambling. We explain more about the online gambling laws in the Netherlands and whether it is safe for Dutch players to play real money games at the best online casino sites. Is online gambling legal in the Netherlands? For many decades, the Netherlands government owned the only licensed gambling provider, Holland Casino, of which there are 14 venues located around the country. As the government held the monopoly on all casino activity, the move to privatise the industry and regulate online gambling has been a long and tedious process. Online gambling at offshore casinos was illegal in the Netherlands until recently, but the laws were hazy, outdated, and subject to parliamentary and public debate for years. The regulations set out in the Dutch Betting and Gaming Act were introduced in the 1960s and did not adequately address modern technology, leaving plenty of loopholes and grey areas. That all changed in February 2019 when the Dutch Senate passed the Remote Gaming Bill. This long-awaited legislative landmark provided a legal framework for regulated online casinos while giving the Dutch Gambling Authority (KSA) greater powers to prosecute offshore gaming operators that continue to market their products in the Netherlands without permission. Established in 2012, the Netherlands Gambling Authority – officially the Kansspelautoriteit, or KSA – is the body responsible for overseeing online gambling activity in the country. The aim of the organisation is to prevent gambling addiction, eliminate illegal and criminal practices, and protect and inform players. In 2014, the KSA signed an agreement with a number of payment service providers to tackle illegal online gambling by blocking all payments made to unlicensed casino sites. It continues to focus its attention on foreign casino sites with URLs ending in .nl, vendors offering services in Dutch, and any advertisements aimed at the Dutch market on radio, television, or in print. 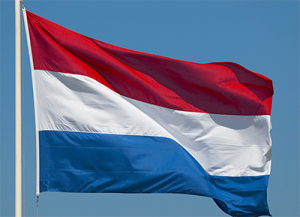 Now the KSA has a new primary role: the regulation and licensing of Dutch casino sites. The body has prepared for this with visits to the UK Gambling Commission, the Alderney Gambling Control Commission, the French regulator ARJEL and the Dirección General de Ordenación del Juego in Spain to see how these jurisdictions adapted to the legalisation of online gambling. In 2016, the House of Representatives agreed to the plan of State Secretary Dijkhoff (Security and Justice) to modernise the country’s gaming policy. It was expected that bill would become law by the end of 2017, but it took another two-and-a-half years before it passed through the Senate. Under the new legislation, casino permit holders in the Netherlands will pay 29% tax on games of chance, a 0.25% contribution to the addiction fund and a 1.5% contribution to the KSA on the gross results of the games. The new legislation will provide strict requirements for online operators and offer better protection for players. Many of the world’s best online casinos cater to the Netherlands, so Dutch players have plenty of choices when it comes to choosing a safe online casino to play slots, blackjack, poker, roulette, scratch cards and a range of other casino games for the chance to win real money. Stick with casino sites that are licensed in reputable gambling jurisdictions like the United Kingdom, Malta, Gibraltar, Alderney, Curacao, Isle of Man and Kahnawake, and look for venues offering games from leading software providers like NetEnt, BetSoft, Microgaming, Playtech, NYX Gaming, Play’n Go, Quickspin, Evolution Gaming and Ezugi. Please note that due to differing jurisdictional laws and regulations, not all online casinos accept players from the Netherlands. For a full list of the casinos catering to the Dutch market, refer to our casino table above. This table has been geo-targeted to recognise your location and only recommend top-rated casinos that accept players from the Netherlands. The Euro is widely accepted at leading online casinos, so Dutch players will have no problems finding a trusted EUR payment method to make a real money deposit. The deposit options on offer vary from casino to casino, with the most commonly accepted options being Visa, MasterCard, Neteller, Skrill, Paysafecard, ecoPayz, Entropay and direct bank transfers. Due to attempts by the Netherlands government to stop banks from processing transactions to online gambling sites, it may be advisable for Dutch players to steer clear from depositing via credit card, debit card or bank transfer to avoid the possibility of having your payment blocked. Consider using a web wallet like Skrill or Neteller, or pre-paid card like Paysafecard instead. A majority of EUR deposits are processed on the spot, so you transfer cash to your chosen casino site and start playing for the chance to win real money straight away. Our recommended casinos are all protected by a minimum of 128 Bit SSL (Secure Socket Layer) digital encryption to ensure player safety, but if you’re concerned about your privacy when gambling online we recommend the use of a virtual private network (VPN) service for an added layer of security. Dutch players can sign up for an account at G’day Casino, one of the top-rated casino sites accepting players from the Netherlands, to claim a 100% matched welcome bonus when depositing real money for the first time. Two and a half years after it passed through the House of Representatives, the Remote Gaming Bill has won the approval of the Dutch Senate.